Filson – The Gun Room Inc. The Filson story starts in 1890s and continues even today. 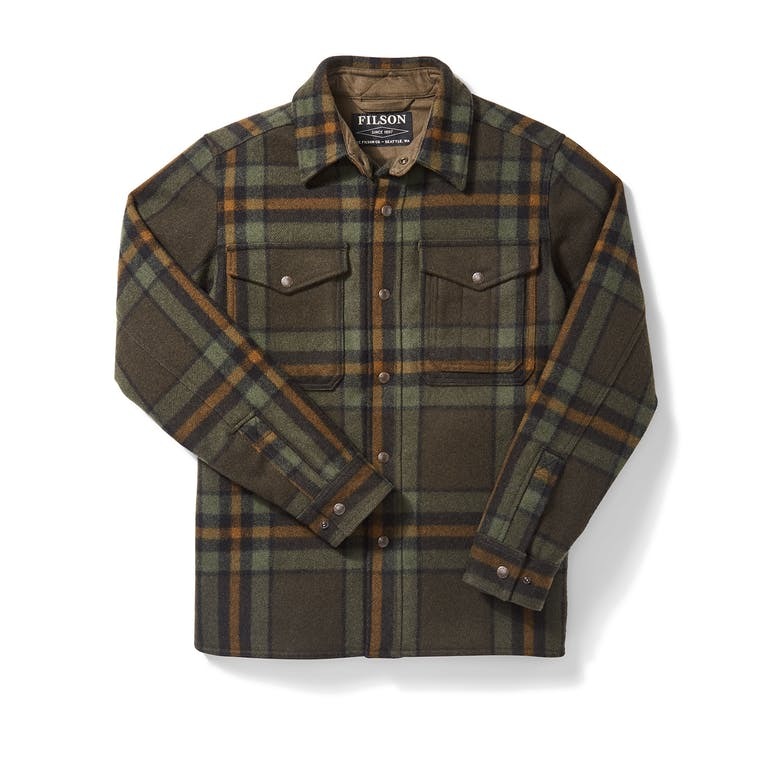 Touted as “The Best” in outdoor clothing for the Gold Rush and later on in every other sector of the outdoors, Filson’s Mackinaw Wool is the stuff of legend. You don’t have to be a prospector, mariner, or a Yooper to appreciate good quality and craftsmanship, you just have to have a desire to own quality. Equally well suited in the urban environment as well as the Upper Peninsula and the forests of the NW owning Filson means you’ll be warm and cozy with style. The Gun Room Inc. prides itself on being the premier NW Hunting Headquarters and for having nothing but the best quality guns and gear. Stop by The Gun Room Inc.’s Archery and Outfitters section upstairs and get the best gear money can buy.